If you have an elderly family member or friend suffering from Alzheimer's, vascular dementia, or another type of dementia, he or she may be experiencing dementia-related psychosis, delusions, and hallucinations, and receiving an antipsychotic drug to treat these symptoms. 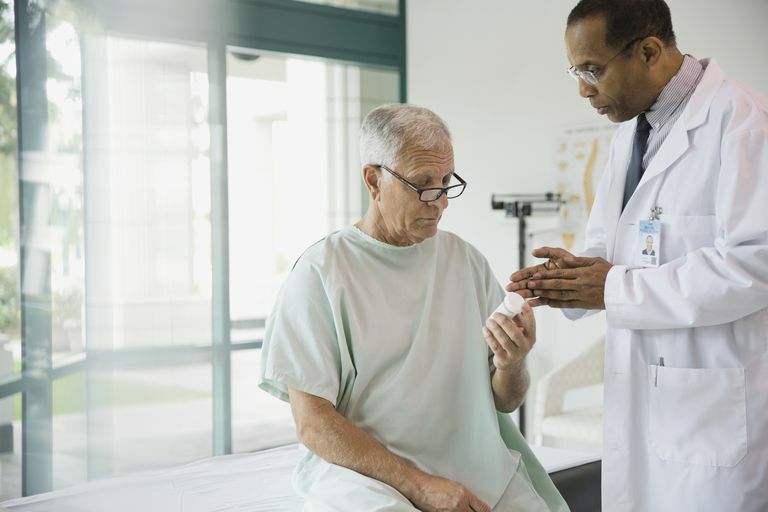 It's important to know that while clinicians have the option of using these drugs in elderly dementia patients, antipsychotics come with a black box warning for this population specifically. In 2008, the U.S. Food and Drug Administration (FDA) mandated that antipsychotic drug manufacturers add black box warnings to labels and prescribing information because of the link found between antipsychotics and an increased mortality risk in elderly dementia patients. "Elderly patients with dementia-related psychosis treated with antipsychotic drugs are at an increased risk of death. Analyses of 17 placebo-controlled trials (modal duration* of 10 weeks), largely in patients taking atypical antipsychotic drugs, revealed a risk of death in drug-treated patients of between 1.6 to 1.7 times the risk of death in placebo-treated patients. Over the course of a typical 10-week controlled trial, the rate of death in drug-treated patients was about 4.5%, compared to a rate of about 2.6% in the placebo group. Although the causes of death were varied, most of the deaths appeared to be either cardiovascular (e.g., heart failure, sudden death) or infections (e.g., pneumonia) in nature. Observational studies suggest that, similar to atypical antipsychotic drugs, treatment with conventional antipsychotic drugs may increase mortality. The extent to which the findings of increased mortality in observational studies may be attributed to the antipsychotic drug as opposed to some characteristic(s) of the patients is not clear. [DRUG BRAND NAME (drug generic name)] is not approved for the treatment of patients with dementia-related psychosis." *Modal duration means that the most common length of the trials used was 10 weeks. Psychosis and agitation in dementia is a situation that causes considerable distress to patients and families and may hasten institutionalization in some patients. Because there are a limited number of medications that can treat this condition in these circumstances, your loved one's doctor may still use one or more antipsychotic medications that carry this black box warning. In a situation like this, the doctor will consider whether the potential benefits of using the medication(s) are greater than the risks involved. Centers for Medicare & Medicaid Services. Atypical Antipsychotic Medications: Use in Adults. U.S. Department of Health and Human Services. Published 2015.